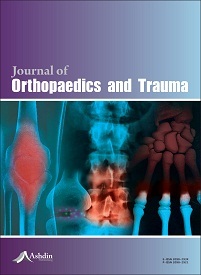 The Journal of Orthopaedics and Trauma (JOT) is a scholarly open-access, peer-reviewed journal that publishes clinically-relevant research studies involving musculoskeletal issues. The journal also includes critical reviews, commentaries, editorials, interviews and selected case reports of educational value. The journal is aimed at orthopaedic surgeons, physicians, physiotherapists, sports physicians and sports traumatologists, and to a broader extent all those in public health. The journal has a distinguished editorial board ensuring that the journal maintains high scientific standards and has a broad international coverage. Prof. Deiary Kader, Northumbria University, UK, is the Editor-in-Chief of the journal. A complete list of the editorial board can be found here. For further information, please contact the Editorial Office of JOT.